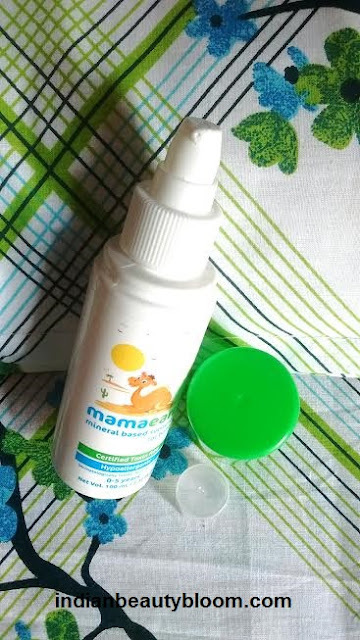 I am Back with One more review of Mama Earth Baby Care Product. Today I am going to review a Mineral Based Sunscreen for Babies from this brand . As I have written in my previous reviews , Mama Earth is Asia’s 1st Made Safe Certified brand . They have various products in Baby care range , some of which I have already reviewed . This product is a Sunscreen for babies , which is Mineral based and it’s a good product. 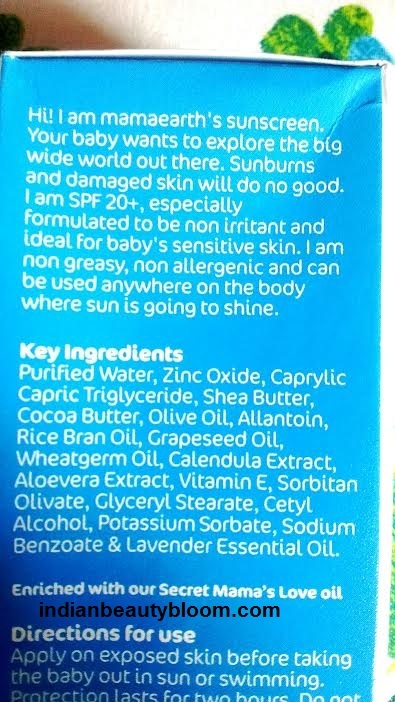 In fact a Unique Product as before this I never heard of Sunscreen for babies . 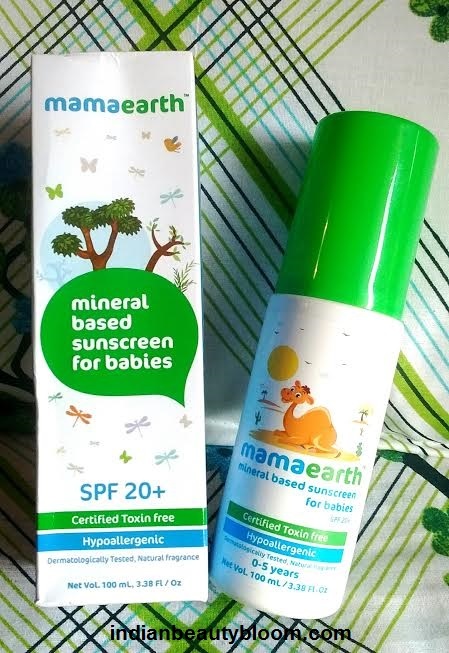 Mama Earth sunscreen for babies is a sunscreen cream with SPF20 . It is a non greasy , non allergenic dermatologically tested product which is safe for sensitive skin . Product packaging is excellent . The products comes in a good quality bottle with a nozzle at the top from which small quantity of product can be easily taken out , so no wastage . Product packaging is Cute , Ideal for a baby product . 1. Does not contains any harsh chemicals. 2. Free of parabens , Sulfates . 3. Dermatologically tested and safe for sensitive skin . 6. Product Packaging is good and is Travel Friendly . 7. Free of synthetic fragrance . 8. Free of Petroleum derivatives & dyes . 9. Contains goodness of almond oil , olive oil , Shea butter and Calendula extract . 10. Protects the skin form getting tanned or dry . My kids are using this sunscreen cream past one week and they liked it . It has a nice fragrance . It’s a white cream with thick texture and it easily gets blended in the skin , completely moisturizing the skin and leaving a nice fragrance . One needs to apply this before going out in sun and it’s effect lasts for around 2 hours . Would surely recommend this to others as Babies skin are sensitive and they also need protection from harsh sun rays , so a sunscreen for babies is a Must in Indian climate . 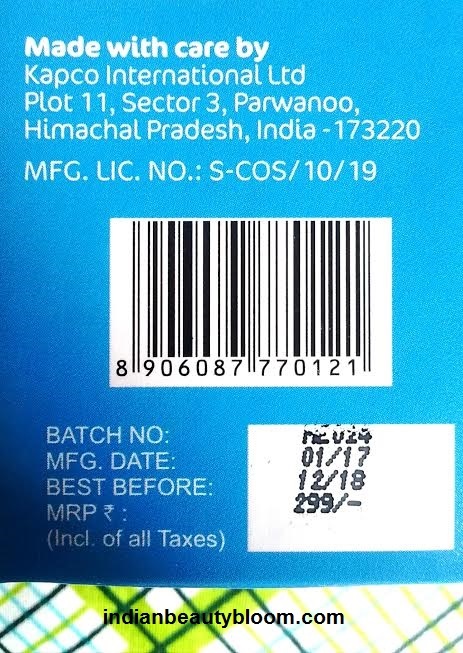 One can buy this product from online stores like Amazon.in , Nykaa.com , Gonutrio.com etc .